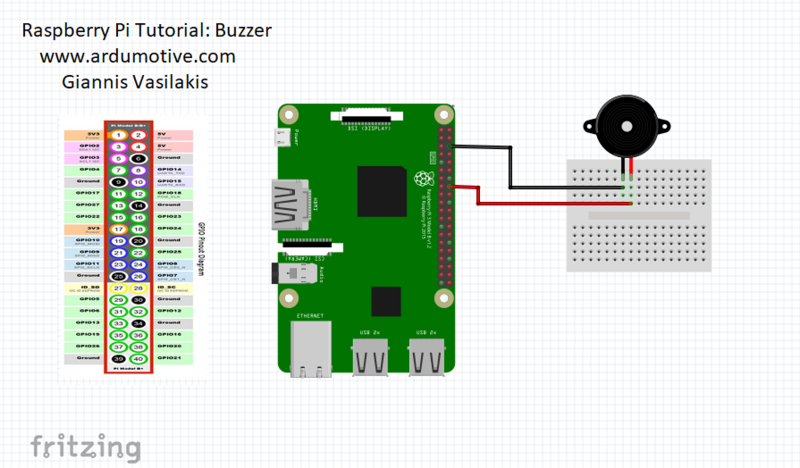 In this tutorial you will learn how to use a buzzer (or piezo speaker) with Raspberry Pi. Buzzers can be found in alarm devices, computers, timers and confirmation of user input such as a mouse click or keystroke. In the program below, the first thing you do is to import the library for GPIO and sleep. The next step is to initialize pin 23 as an output pin with GPIO.setup( ) function. The While True loop runs over and over again, forever. In the main loop, you make a beep sound with GPIO.output( ) function and "pause" the program for 0.5 second with sleep( ) function. Download the code from here and open it with Thonny Python IDE or run it from terminal. 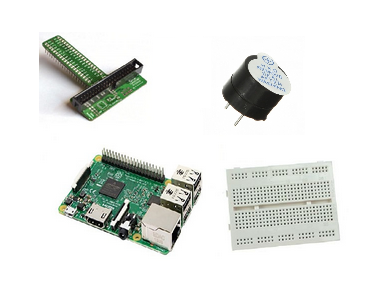 You have successfully completed one more Raspberry Pi "How to" tutorial and you learned how to use a buzzer.